How do you know when it is time for your senior loved one to move? An adult family home is a senior housing option for those who want or need help with some of the activities of daily living. 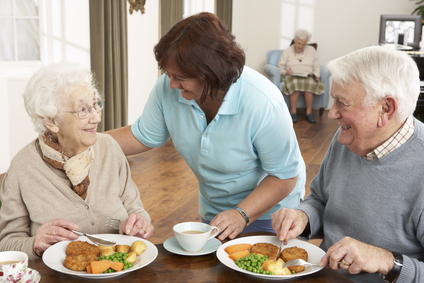 An adult family home may be a good choice for someone who needs more personal care services than they can get at home or in an independent living community, but also doesn’t need the round-the-clock medical care and monitoring of a nursing home environment. An adult family home like ours offer the safety and security of round-the-clock support and care. While privacy and independence are encouraged, we will help you create a personalized plan that meets your particular needs. At the same time you will have the freedom to do for yourself what you can. How do you know if an adult family home is right for you? Here are some questions that can help you decide. Do you need more help than family and friends can provide for you? If family members or in-home help are no longer able to bridge the gap, an adult family home is a great option. Do you feel lonely or isolated in your current living situation? The social feature of an adult family home is one of the huge benefits. Good facilities offer a variety of social and recreational activities. Are you concerned about your safety? If your mobility is becoming more limited, or you sometimes worry what might happen if you fall, or encounter a situation you can’t manage, you may be a candidate for an adult family home. Is it getting too hard to maintain your home and yard? An adult family home can furnish the homey atmosphere without the work that goes along with managing a house. Are you having transportation issues? If you are having trouble driving, or no longer drive at all, if public transportation is not available or is inconvenient, you may become more and more isolated or housebound. At an adult family home, you will have help getting where you need to go. The answers to these questions can help families decide if it is time for a loved one to make the move to an adult family home. If the time is right for you and your family, call us today for a tour at Harmony Senior Homes .